Since losing the election in 2015, Dame Anne has found new challenges. She has been appointed a Council member of the Scottish Social Services Council (SSSC), the regulatory body for social and care workers. She is also a non-executive director of NHS Grampian and a member of the Moray Integration (Health and Social Care) Joint Board. 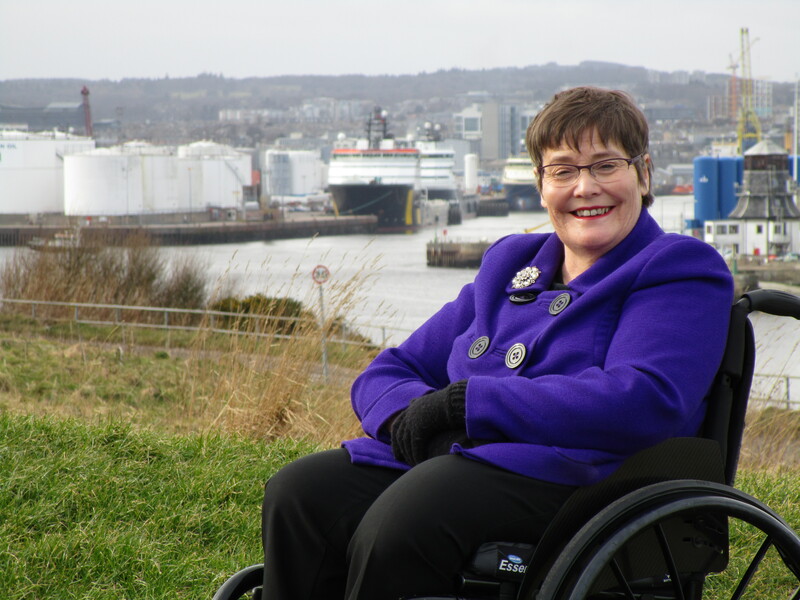 She Chairs the NHS Grampian Endowment committee and Aberdeen City Council’s Disability Equity Partnership (DEP). Her most recent appointment is to the Board of Aberdeen Performing Arts. Dame Anne is now Patron of a number of Charities – the care charity Cornerstone; the NE Scotland literary magazine, “Pushing Out the Boat”; the Aberdeen Law Project; and Access to Employment and Training. She is also a Trustee of the Chance to Flourish charity which disburses funds raised by the Scottish Children’s Lottery. Her “Ed Balls” moment came in March 2016 when she appeared on stage as part of the National Theatre of Scotland’s production of “Granite” which told the story of Aberdeen. In June 2016 she was awarded an Honorary Degree from the University of Aberdeen.